In its decision, the SJC agreed with the defendant’s argument. The Court noted that “[t]wenty-five years ago, [it] determined in Commonwealth v. Day, 409 Mass. 719, 723 (1991), that profiling testimony is inadmissible” because it is “both irrelevant and prejudicial to the defendant.” Quoting from Day, the Court asserted “that a ‘criminal trial is by its very nature an individualized adjudication of a defendant’s guilt or legal innocence.’ Id. ‘[T]he mere fact that a defendant fits the profile does not tend to prove that a particular defendant’ committed a particular offense. Id.” The Court rejected “[t]he Commonwealth’s effort to distinguish the challenged evidence from that held inadmissible in Day,” on the ground that the prosecution “did not explicitly compare the defendant to the profile of a drug dealer. Contrary to the Commonwealth’s assertion, however, such so-called negative profiling evidence — where the goal is to demonstrate that a person does not fit a particular profile — falls squarely within the scope of the profiling evidence we have long prohibited.” “As the mirror image of the prototypical profiling evidence dealt with in Day, such negative profiling evidence serves the same impermissible end. It is an attempt to convince the jury to determine a defendant’s guilt by comparing him or her to stereotypes rather than by individualized adjudication.” The Court concluded that the expert’s testimony here was inherently prejudicial and created a substantial risk of a miscarriage of justice. 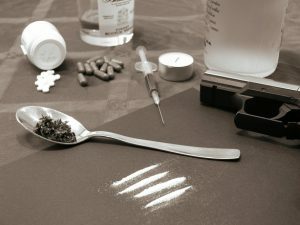 If you or a loved one is charged with drug distribution, it’s extremely important that you have a skilled attorney who is familiar and up to date with the relevant case law, and who can make sure that the Commonwealth is precluded from introducing inadmissible and prejudicial evidence against you. Attorney Daniel Cappetta has successfully handled numerous drug cases and well versed in the law. He will help you get the best possible outcome in your case. Call him for a free consultation today.